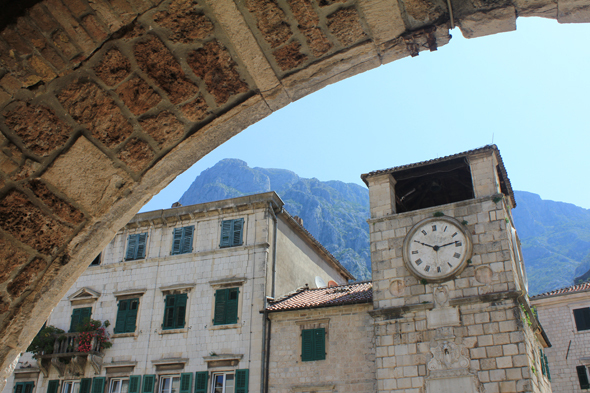 The tower-clock of Kotor. The clock was added in 1810. The clock leans further to the earthquake of 1979!